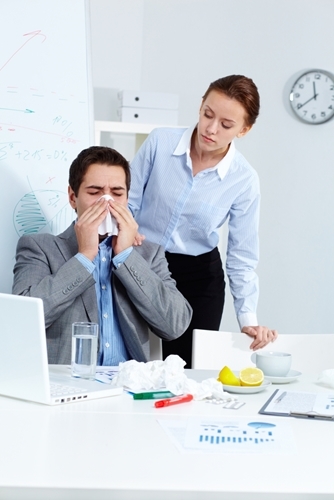 Winter is flu season, and it can be the bane of many an office. Employees who spend long hours in close proximity with one another mean a greater likelihood of bedridden staff, which is the last thing any boss wants. Fortunately, business gifts may be used to encourage people to keep the office clean and mitigate the spread of flu. While vaccination news coverage has tapered off since the beginning of winter, February has most often been the peak of flu season over past 20 years, according to the Centers for Disease Control and Prevention. As the season marches on, it’s as important as ever to keep offices clean and flu-free. Businesses who wish to keep the flu at bay may want to offer incentives to employees who take the necessary steps to combat the flu. Inc. Magazine has recommended that businesses make it easy for employees to get vaccines, as well as clean the office regularly. Employers can have rewards for people who choose to get inoculated, wipe down their personal spaces or help clean public areas, such as a kitchen or conference table. Not only could this system improve business morale, it could also help maintain productivity through the season.